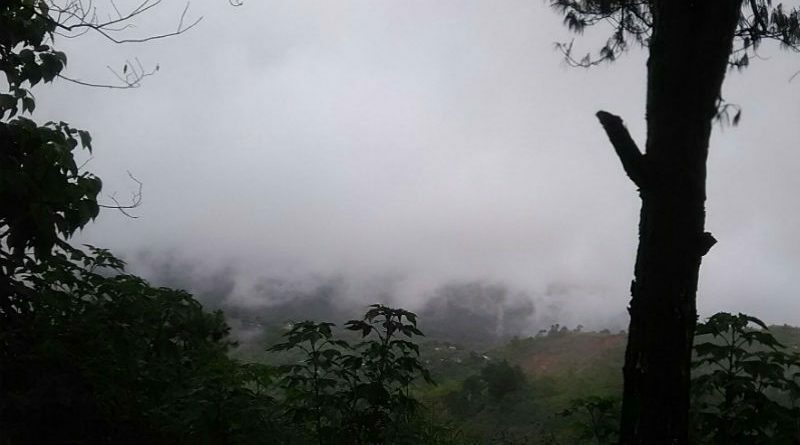 BAGUIO CITY – Residents and tourists started to bring out and wear their thick clothes following the continuous drop in the temperature in the city, the latest recorded lowest temperature over the past few days was 12.8 degrees Celsius early morning of November 26. Letty Dispo, a weather specialist of the local office of the Philippine Atmospheric, Geophysical and Astronomical Services Administration (PAGASA), said the drop in the city’s temperature that early Monday morning was just the start of much colder days that will prevail in the city in the coming months when the northeast monsoon is enhanced. “The city’s temperature will be on a down trend in the coming months as the northeast monsoon will be enhanced,” Dispo stressed. The usual morning temperature in the city was between 16 to 19 degrees Celsius before it started to slowly drop to 14 degrees prior to its huge decline early Monday morning. The cold weather condition in the city is being enhanced by the prevalence of the northeast monsoon from November to the middle of March when visitors flock to the city to enjoy the prevailing cool weather condition. City Health Services officer Dr. Rowena Galpo reminded residents and visitors to make sure that their immune systems are strong by eating the right kind of food, having sufficient exercise and having the proper diet for them to avoid contracting the cold day illnesses like cough, colds, pneumonia, bronchitis among other viruses that might compromise their health condition and ruin their merrymaking for the Yuletide season. She said that people must ensure they wear warm clothing when going out to be spared from weather triggered illnesses that are prevalent with the sudden change in weather conditions. According to her, there is always an influx of people with cold day illnesses in the different district health centers when there is a drastic change in the weather condition in the city starting from November up to the summer season that is why the local government always makes sure that the city health department and its district health centers have sufficient provisions of medicines that could be given for free to the people from the city’s 128 barangays seeking consultations for their cold day illnesses among other problems. PAGASA recorded the coldest temperature in Baguio City on January 18, 1961 which was 6.1 degrees Celsius while the fifth lowest temperature in the city was recorded on January 15, 2009 which was 7.5 degrees Celsius. Dispo claimed that with the early prevalence of the northeast monsoon, the city’s temperature could drop to single digit anytime from January to early March next year when the northeast monsoon will be at its peak before paving the way for the onset of the summer season before the end of March. Even the city’s warmest temperature during the day dropped from the usual 25 to 27 degrees Celsius to 21 to 23 degrees Celsius when the northeast monsoon started to be enhanced over the past several days which sustains the city’s identity as the country’s undisputed Summer Capital.